Few would deny that Fallout 76 was something of a disappointment last year. Actually, far from being the multiplayer revolution that its creator Bethesda Game Studios was likely hoping it would be, Fallout 76 turned out to be a something of a poor entry in the award-winning series as we pointed out in our review. 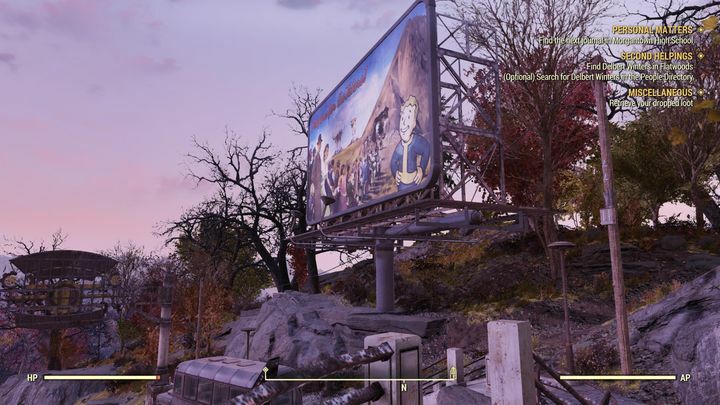 And Bethesda recently admitted during a panel at the PAX East video game show that the Maryland-based company ran into trouble during Fallout 76’s development. “We knew we were going to have a lot of bumps coming out with the game, and we definitely had some, some of them a lot harder than we anticipated. It was a very new and different project for us”, said Bethesda’s executive producer Todd Howard (via PC Gamer). Howard also talked about how big an undertaking Fallout 76 was, saying that four Bethesda studios took part in development. “This was a game that really took a ton of people across those four studios coming together to make work”, Howard said. But even if Fallout 76 failed to live up to the hype, thankfully for those who bought Bethesda’s game last year we now know that a stream of updates and improvements will be coming to the game this year, including an entire main quest for players to enjoy, something which could redeem Bethesda from the game’s poor launch last year. And aside from Fallout 76, there’s also the matter of Bethesda’s two other upcoming role-playing games: The Elder Scrolls VI and Starfield. But those who were waiting with bated breath for Bethesda to reveal more information about galactic RPG Starfield and the eagerly awaited next Elder Scrolls game are in for a disappointment though. This is because Todd Howard said at PAX East that Bethesda is not planning to discuss these games at this year’s E3 show in Los Angeles, and is urging gamers to “be patient”. “It’s going to be a long time. It’s not something we’re going to be talking about at E3, either of those games this year”, said Howard. Nonetheless, here’s hoping it doesn’t take the Maryland-based company too long to deliver more details about The Elder Scrolls VI in order to please its fans, and that the planned updates for Fallout 76 do help make it a better game than it was at launch this year. As for Starfield, this now looks like it will be a new-gen game only, although it would definitely be a great thing if the sci-fi RPG lived up to Bethesda’s earlier games when it launches sometime in the future.